MAKE YOUR HEART BE THE MOST BEAUTIFUL THING ABOUT YOU. L.A. is filled with amazing change makers. On September 11, 2017, it was deeply fulfilling to partake in the 911 Day of Service with the Taproot Foundation at The California Endowment. Explore the benefits of skills-based volunteering on elevating a nonprofit’s mission and sign up to be a probono consultant! Also, if you are ever in the California Endowment building, take some time to view the beautiful artwork hanging on the wall, especially one by Frank Romero, Corazon de Aztlan. The following day on September 12, 2017, Southern California Grantmakers and LA Community Leaders held a special joint reception in DTLA. It was wonderful to connect with impact-driven professionals and honor Antonio Manning and Jonathan Weedman’s contributions. Happy 119th Anniversary of the Proclamation of Philippine Independence! It was a wonderful celebration hosted by the Philippine Consulate in Los Angeles on June 9, 2017. 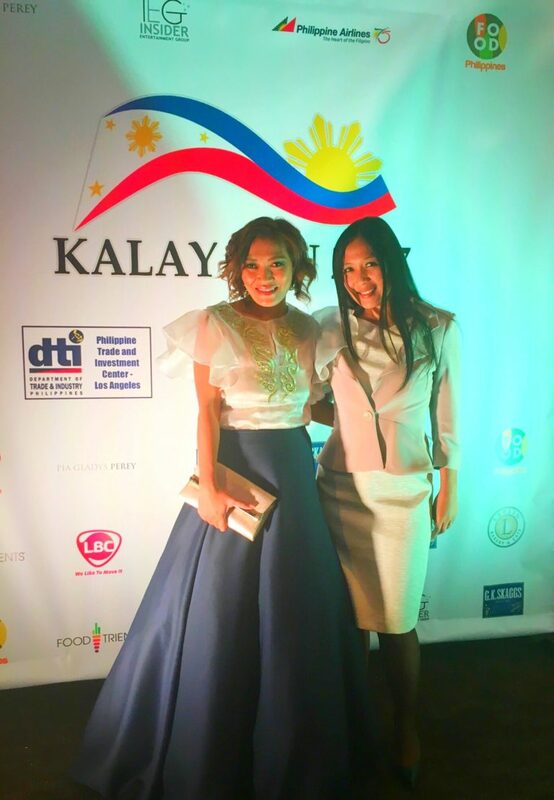 Special thanks to Dyan Kristine M. Pastrana, Vice Consul for the invite. Prior to the event, we had an invigorating discussion on how to advance and promote gender and development for Filipino-Americans. 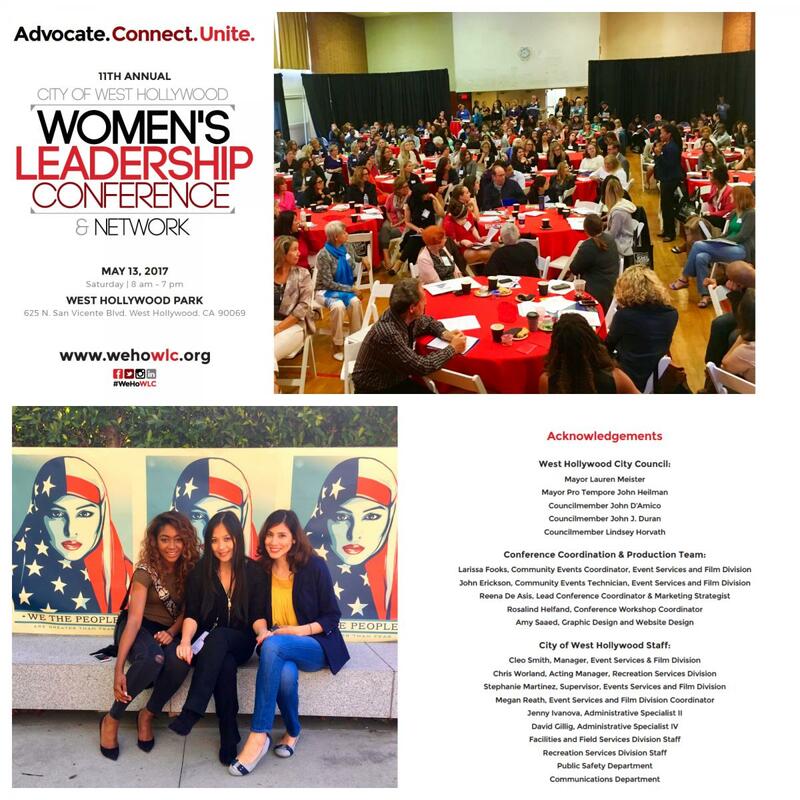 The energy and conversations at the 11th Annual West Hollywood Women’s Leadership Conference on May 13, 2017, was exuberant. I find it deeply rewarding to invest in projects that raise consciousness. This year’s theme focused on how to effectively launch and partake in an advocacy initiative and activism. Attendees cultivated their leadership skills to change the world! Also, it’s undeniable that art and music are powerful change agents! We wrapped up the day with a community gathering called Amplify for Good. 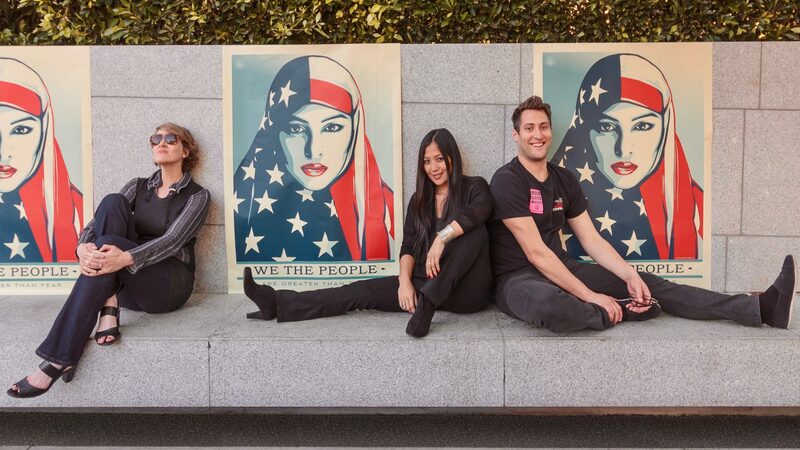 We celebrated the We the People campaign by the Amplifier Foundation, created socially conscious art and enjoyed a lively DJ set at West Hollywood Park. Thank you, Shepard Fairey, for the shout-out on social and many thanks to the speakers, partners, attendees, and volunteers who are contributing to the conversation. 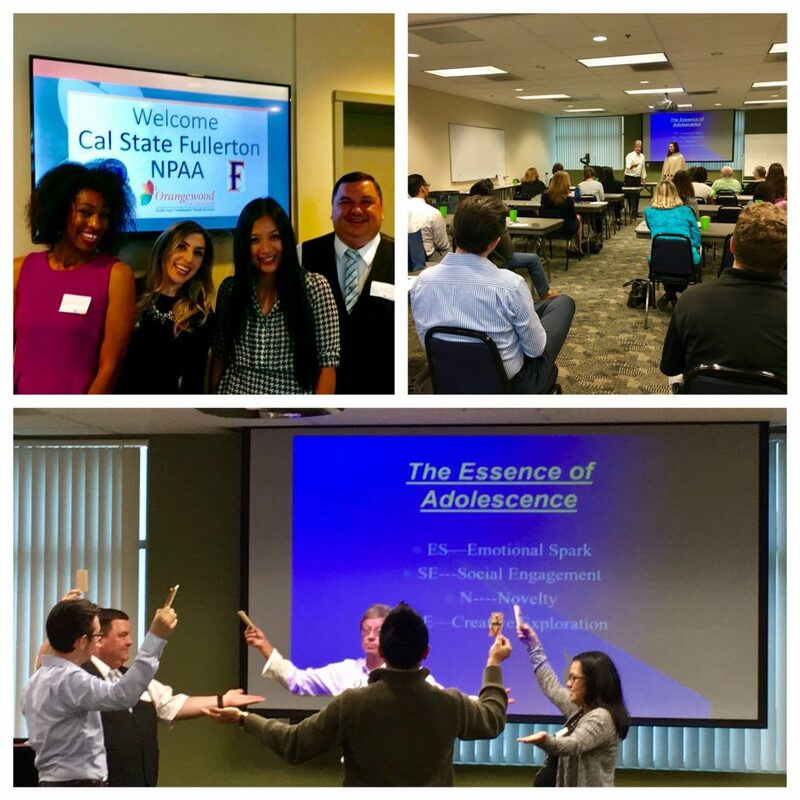 As a board member of the nonprofit professionals alumni chapter, our common goals as members are to form a professional development network for alumni and to encourage CSUF students to prepare for and seek out careers in nonprofit and service fields. On April 6, 2017, we held our annual Spring mixer at the Orangewood Foundation. Whether we were discussing the essence of success or adolescence, we all agreed on the benefits of a paradigm shift with positive thoughts. Let’s choose to collectively lift each other up to reach our greatest potential. It was an insightful time during the CSR Mapping Workshop on January 12, 2017. We explored how current employee volunteer programs fit into the IMPACT 2030 model. The Sustainable Development Goals (SDGs) are focused on addressing the most critical issues in the world, including poverty, inequality and climate change. The objective of IMPACT 2030 is to align companies and their employee volunteer efforts with these global goals to create real and sustainable change. Thank you United Way of Greater Los Angeles, IMPACT 2030 – Grady Lee/Chris Jarvis and LA Community Leaders. I am honored to be part of the 7th Annual Circle of Change Leadership Conference. It’s always an invigorating time to learn from altruistic professionals from various fields and engage with passionate students during the Leadership Meets Community Engagement/Social Responsibility panel on November 19, 2016. Thank you for feeding my soul! SOLVE THE WORLD’S PROBLEMS – VOLUNTEER! VOLUNTEERISM HAS THE POWER TO SOLVE THE WORLD’S MOST PRESSING PROBLEMS – IF NONPROFITS AND CORPORATIONS WORK TOGETHER. Even a cat in a spaceship agrees! It was a cool time in Chicago sharing ideas and best practices at the VM Summit on October 24-26, 2016. It’s always magical to have full circle experiences, like being a guest lecturer at your alma mater. Go, Titans! One of my favorite exchanges is to have light bulb moments with students and September 21, 2016, was truly a rewarding experience. You can cultivate purposeful work and make an impact! Love what you do!